Floral displays and hanging baskets could soon disappear from some of Calderdale’s high streets as the council looks to slash costs in the face of government cuts. An email circulated by the Safer, Cleaner, Greener team, which is responsible for the majority of displays throughout Calderdale, revealed there is an intense pressure on its budgets and it would be “unsustainable” for the council to continue providing them free of charge. It said: “Currently, the distribution and supply of hanging baskets and floral displays throughout Calderdale varies considerably. “In some areas, local businesses fund the purchase and maintenance of baskets but in other places these costs are met by the council. This is not only inequitable but it is financially unsustainable in current times, and we now need to consider alternative ways of providing floral colour in our towns and villages. “Therefore, from 2017 it is proposed that the council will no longer provide hanging baskets and floral displays free of charge anywhere in the borough. “The full cost of a single hanging basket is £45. A basket produced at Manor Heath costs £25 to complete then the additional £20 covers the cost of transporting, hanging and watering throughout the season. In the future we would still be able to offer this service but there would be a charge. It goes on to say that in the centre of Halifax and parts of Todmorden, Hebden Bridge and Elland, local businesses already pay for the service. In other areas, parish and town councils also support the cost of floral displays and the Safer Greener, Cleaner team said it would work closely with groups and businesses to search for other funding opportunities in time for 2017. 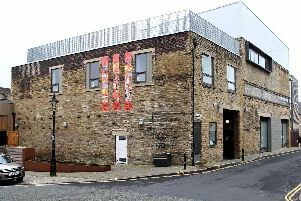 Calderdale’s Conservative group has slammed the plans. Its leader, councillor Scott Benton, who is also a Brighouse councillor, said stunning displays such as the one in Thornton Square, Brighouse, would be lost. “Hanging baskets and floral displays increase footfall in shopping areas, making the sales environment more conducive to stimulating the local economy which will not only help local businesses and create jobs, but also increase council revenues,” he said. He added the group strongly objects to the plans and said Labour have chosen it as an easy target for cuts, without thought as to how it might affect the local economy. But Tim Swift, leader of Calderale Council, accused the Conservative Group of looking to score “cheap political points”. He said: “Like all northern councils, Calderdale has faced huge cuts and this means we have to take difficult decisions. So it’s disappointing that the Conservatives should raise this specific challenge when they have refused to join us in standing up to government and demanding a better deal. “I’m also disappointed that they chose to raise this issue in council when they have been aware of the proposals for more than a month and have not bothered to raise their concerns sooner. Calderdale Council were unable to say which displays or baskets would be affected or how much money would be saved.